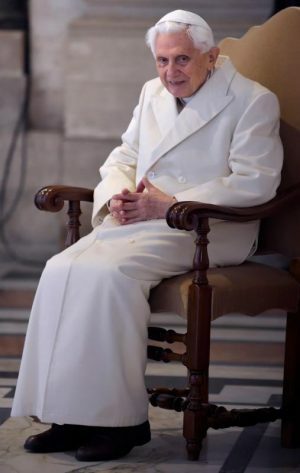 VATICAN CITY (CNS) — The Vatican denied that retired Pope Benedict XVI has a degenerative neurological disease or paralyzing condition after his brother, 94-year-old Msgr. Georg Ratzinger, told a magazine that Pope Benedict had a debilitating disease. He had announced his retirement from the papacy Feb. 11, 2013, and stepped down Feb. 28, 2013.